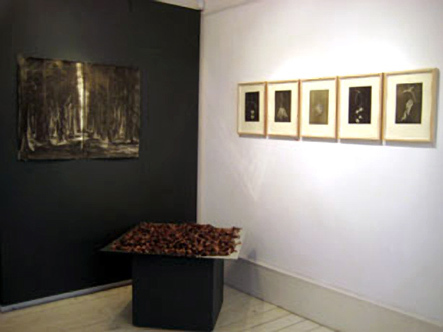 Fall: The Secret Life of Trees, draws together beautifully executed works which explore and celebrate nature. The artists each elevate a different aspect of the natural world with a sophisticated understanding of both subject and medium. 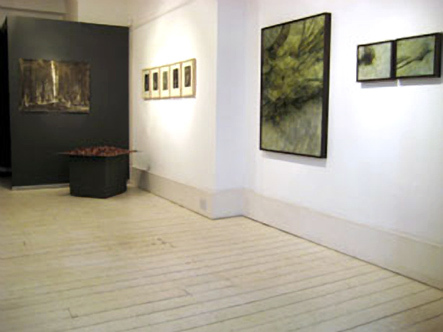 The works include sculpture, print, drawing and painting. However, a subtext resonates through all these works through its celebration of trees, our negligent attitude to nature and the environment is condemned. 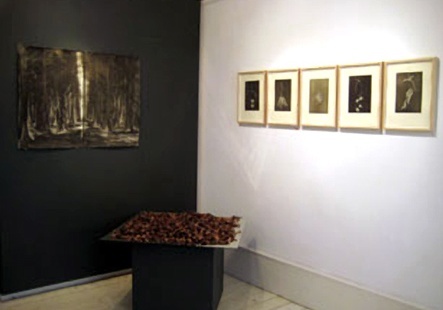 The works are not only united by their common subject matter, and theme of this exhibition, but by an evident connection by each artist to their respective materials. Phil Chitty evokes memories of past experiences and emotions through the use and application of paint. 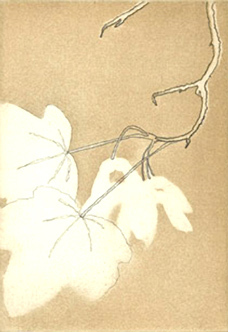 Chitty’s abstraction of the subject in neutral tones, mirror his interpretation of nature. The process is evident and the visible brush strokes evoke the grain of the wood. Through his reaction against the often transient nature of photography, Chitty creates truly resonant works. 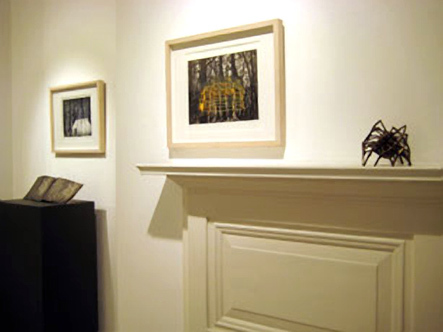 Sarah Darby’s exquisite pinecones are cast in bronze. The deep colour and reflective surface of the bronze shows the highly finished nature of these sculptures. 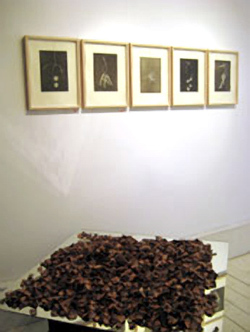 By recreating pinecones in bronze, Darby gives permanence to a natural object, raising issues of value, presentation and objectification. 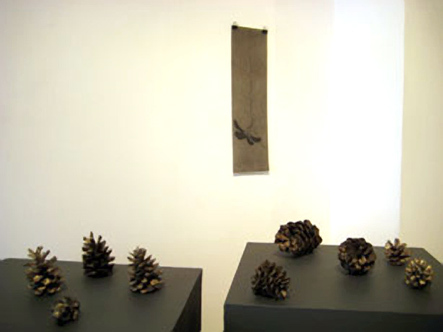 By placing the sculptures in a Fibonacci spiral, Darby creates a relationship between the naturally occurring patterns within the pinecones and their position as art objects. 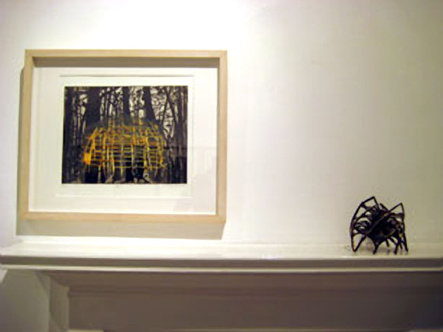 Katherine Jones’ intriguing prints show dwellings seen through wood and trees. The houses emit a strange light and we question whether the trees are protecting or whether they are more sinister. 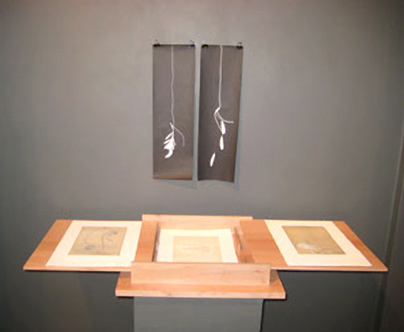 Jones works with traditional printing techniques and makes imaginative and original works. 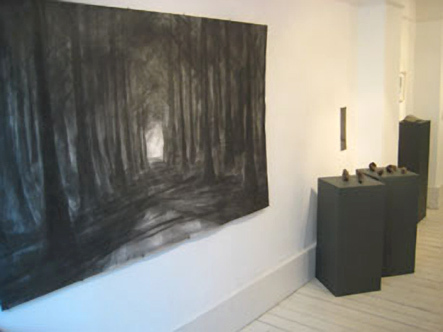 She is a prize winning artist and the current printmaking fellow at the City and Guilds of London Art School. Jason Hicklin’s drawings of moody and evocative landscapes demonstrate the power of drawing as a medium. Hicklin works ‘en plein air’ before returning to his studio to develop the drawings in graphite and ink in an infinite vocabulary of greys. 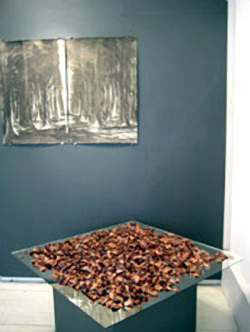 This results in large works which are expressive, with an immediacy that captures the strength of nature. Patricia Swannell’s prints elevate seemingly simple elements of nature to create a language of vulnerability and beauty. Swannell creates visual poetry by placing work in sequence by layering prints with etched shadows, and by collecting fragmented elements with an enveloping box of London Plane. In a poignant call to action, in “So many Words” she has transcribed the whole Kyoto protocol onto dismembered petals of pinecones.